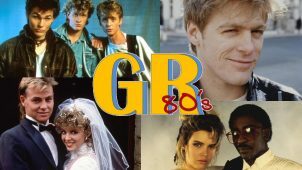 November GR80’s – the TV wedding of 1988…. BBC1 airs Episode 523 of Neighbours, featuring the wedding of Scott Robinson and Charlene Mitchell (played by Jason Donovan and Kylie Minogue), which is watched by 20 million viewers. The song that played over the wedding was “Suddenly” by Angry Anderson which became his biggest hit, reaching number 3 in the UK Singles Chart. The No 1’s this week in the 80’s were….